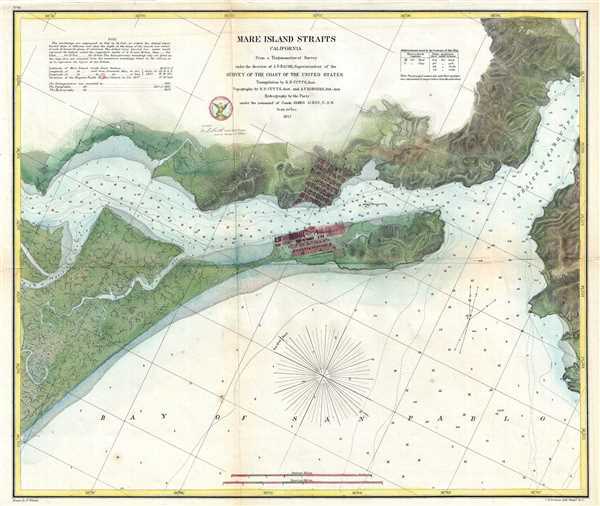 Map of the Napa River and the Mare Island Straits, California. Bache, A. D., Report of the Superintendant of the U.S. Coast Survey, (Washington) 1857. Very good. Backed on archival tissue for stability.